HERE WE HAVE HONDA'S EXCELLENT MILE MUNCHING TOURER, THE VFR1200X DCT WITH THE HIGHLANDER PACKAGE! 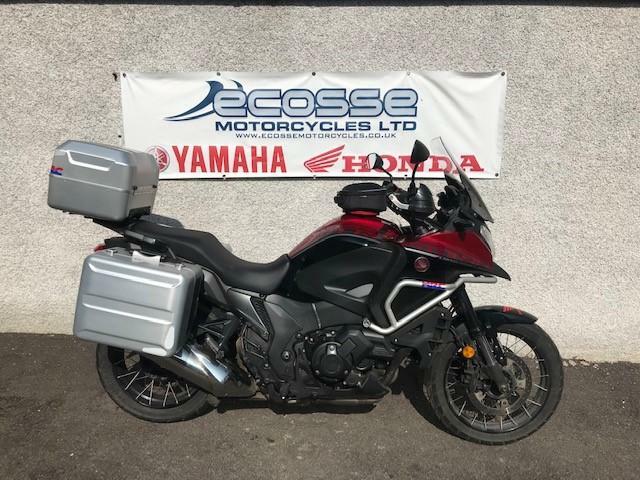 FULL LUGGAGE TALLER SCREEN HEATED GRIPS AND ENGINE BARS. THIS BIKE HAS ONLY COVERED 13000 MILES SINCE NEW AND WILL BE SERVICED HEALTH CHECKED AND WILL COME WITH THE REMIANDER OF HONADAS WARRANTY.